In modern industry, about 22 percent of newly produced molybdenum is used to make molybdenum-containing stainless steel; structural steel, tool steel, high-speed steel, and cast iron accounted for about 57%; the remaining 21% is used for molybdenum compounds such as lubricant grade molybdenum disulfide, molybdenum metal, etc. Molybdenum is commonly used in five kinds of materials: molybdenum-containing stainless steel, molybdenum-containing alloy steel and iron, molybdenum-containing superalloy, molybdenum metal and alloy, and molybdenum containing the chemical. The generic name for stainless steel refers to a large class of iron-base alloys containing chromium. Stainless steel contains at least 10.5 percent chromium, which forms a thin layer of chrome-rich oxide on the surface of the steel. Steel or iron-base alloys that do not contain this minimal amount of chromium corrode in moist air and form red rust. Although chromium content determines whether the steel is stainless steel, molybdenum also plays an important role. Molybdenum can increase the corrosion resistance of all stainless steels, especially for improving the pitting corrosion resistance and crack corrosion resistance of materials in chloride media. Stainless steel is divided into several different types according to its metallographic structure. Austenitic stainless steel accounts for about 75% of all stainless steel consumption, ferrite stainless steel accounts for about 25%, duplex stainless steel (mixed structure of austenite and ferrite) accounts for about 1%, martensitic stainless steel accounts for about 1%. The main determinant of the microstructure of stainless steel is its chemical composition. 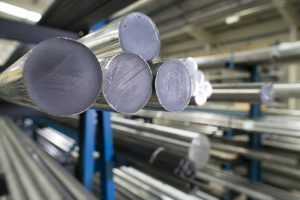 Adding molybdenum to alloy steel and iron can effectively and economically improve hardenability and hydrogen corrosion resistance and sulfide resistance, reduce tempering brittleness, as well as improve the high-temperature strength and weldability, especially the weldability of low alloy high strength steel (HSLA). All kinds of engineering equipment and products made of molybdenum-containing alloy steel are widely used in modern industry, including automobile industry, shipbuilding, aerospace; Drilling, mining and process industries; Energy generation includes boilers, steam turbines, and generators; Containers, storage tanks, and heat exchangers; Chemical and petrochemical industries; Offshore oil and gas exploitation, petroleum pipe (OCTG), etc. In most cases, these industries require molybdenum to meet the high-end application characteristics required, which can be achieved by adding a small amount of molybdenum. In fact, with the exception of high speed and martensitic aging steel, molybdenum content is generally between 0.2% and 0.5%, rarely exceeding 1%. Molybdenum is an important alloying element in high-performance nickel-based alloys, which are divided into two basic types: corrosion resistant alloys and the superalloy. The superalloy can be further divided into solid solution hardening and aging hardening. One of the important roles of molybdenum in corrosion resistant nickel-based alloys is to give the resistance of the alloy to non-oxidizing media such as hydrohalogenic acid (hydrochloric acid, hydrobromic acid, and hydrofluoric acid) and sulfuric acid. Therefore, the alloys with the strongest corrosion resistance to such environments are B3 alloys with 28.5% molybdenum. 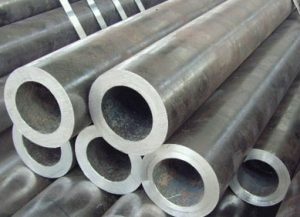 Meanwhile, molybdenum and chromium provide corrosion resistance to local corrosion such as pitting corrosion and crevice corrosion, and alloys such as C22 and C2000 are particularly resistant to such corrosion. In high-temperature alloys, molybdenum is often added to resist the damage caused by high-temperature creep. In order to make full use of this effect, gas turbine sealing ring is made of alloy 242 with high molybdenum content. The high-temperature alloy is widely used in gas turbine components such as turbine disk, combustion chamber, transition pipe, sealing ring, afterburner components, and thrust reverser. They are also used for industrial heating devices, heat treatment, heat exchangers, mineral processing and waste incineration purposes. Molybdenum generally produced by powder metallurgy technology, which is to put the molybdenum powder for hydraulic pressing and sintering at 2100 ° C. When the air is heated to about 600 ° C above, the molybdenum can form the volatile oxide, so the high-temperature application of molybdenum is limited to the non-oxidizing environment or vacuum environment. Molybdenum alloy has excellent strength and mechanical stability at high temperature (1900 ° C). Due to its high ductility and toughness, molybdenum alloys have a higher tolerance for defects and brittle fractures than ceramics. 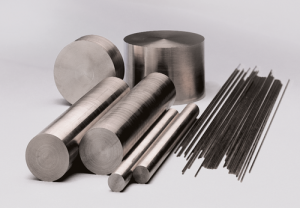 The unique properties of molybdenum alloy have been used in many applications, such as high-temperature heating components, radiation shield, extrusion die, forging die, etc. ; Rotating X-ray anode for clinical diagnosis; Electrodes and components of glass electric furnace, resistant to melting glass, etc. Molybdenum is the VIB transition metal on the periodic table, between chromium and tungsten. Molybdenum is much less toxic than normal heavy metals and therefore makes a good substitute for more toxic materials. Molybdenum in common molybdenum compounds shows the highest hexavalent oxidation state, such as molybdenum MoO3, sodium molybdate Na2Moo4.2h2o, ammonium dimolybdate (NH4)2Mo2O7 and ammonium heptamolybdate (NH4) 6Mo7O24.4h2O. 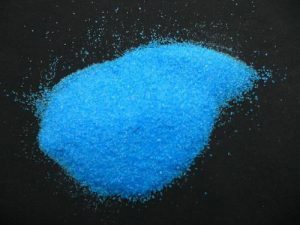 In aqueous solutions, hexavalent molybdenum exists in the form of simple molybdate ions, which are the same as sulfate ions or form polymolybdate ionic polymers depending on their concentration and PH. The chemical properties of molybdenum are very diverse. The oxidation state from -2 to +6 valence, and coordination number from 4 to 8, and stereochemical structure is different; It is capable of forming compounds with most inorganic and organic ligands and binuclear and polynuclear compounds containing molybdenum-molybdenum bonds and bridging ligands. It is this diversity of properties that make the chemical properties and functions of molybdenum exciting and interesting, and also makes molybdenum compounds have many different practical and potential uses. Molybdenum was the first transition metal to combine with sulfur to form various compounds. For example, the main ore containing molybdenum is molybdenum disulfide (MoS2), and molybdenum can bind to sulfur ligands in molybdenite. Molybdenum disulfide is used as an important industrial catalyst. Molybdenum can form many sulfur complexes, some of which are used as water-soluble lubricant additives.